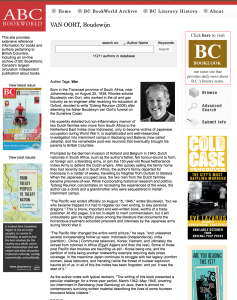 “His superbly detailed but non-inflammatory memoir of two Dutch families who move from South Africa to the Netherlands East Indies (now Indonesia), only to become victims of Japanese occupation during World War II, is sophisticated and well-researched investigation into internment camps in Bandoeng (today’s Bandung) and Batavia (now called Jakarta) , and the remarkable post-war reunions that eventually brought his parents to British Columbia. This is brave, important and well-written book, worthy of a trade publisher. At 452 pages, it is too in-depth to merit commercialism, but it will undoubtedly gain its rightful place among the literature that documents the horrendous treatment accorded prisoners and internees by the Japanese army during World War II. Het boek is een gedegen werk (450 bladzijde met fotos, een kaart van het kamp en tekeningen) dat je niet even in een achternamiddag uitleest omdat de schrijver ook een gedetailleerde beschirijving geeft van het gelijktijdige oorlogs gebeuren in de Pacific met footnotes op vrijwel iedere bladzijde plus vier bladzijde Bibliography met vermelding van source documents. 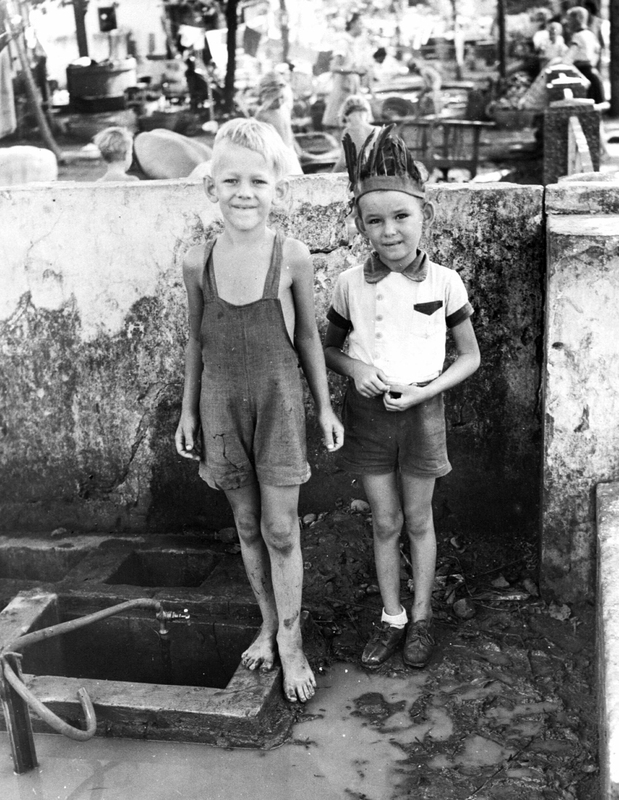 Many readers have been moved to contact the author with their own memories of that time in world history, family members who spent time in Japanese prison camps, and other comments on the impact of reading this memoir. 6 Responses to "Reviews and Readers Comments"
It would be great if I can translate the memoir into Indonesian language. 51 Dagen voordat U geboren was kwam ik ter wereld in Cirebon (Cheribon, former Nederlands IndiÃ«). In 1942 verhuisde mijn familie naar Laan Trivelli 93 en toen Tjideng begon te bestaan als een deel van de stad om ons te “beschermen” werden we naar Moesiweg 1 gepromoveerd. Eerst met zoiets als 30 mensen, later over de honderd. Een half jaar voor het einde moesten we plaats maken voor nog meer gevangenen (uit Bandoeng?) en werden we in Kamparweg 10 ondergebracht. We gingen terug naar Holland in Juli 1946.Ik emigreerde in’65 naar de USA . Ik had nooit goed begrepen wat Japan zag in dat Asia Raja plan. Het boek Tjideng Reunion maakte het erg duidelijk. Ben blij dat ik het gelezen hebt. Hartelijk Dank! Have just finished your excellent book. You deserve so many accolades for your attention to historic detail and the descriptions of life within the confines of your prison camp. 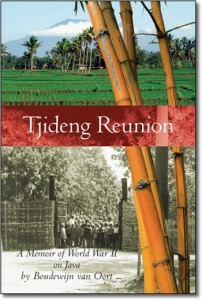 I do hope Tjideng Reunion receives wider coverage. It deserves a very high rating. I have posted a review on Amazon and congratulate you on an exceptional piece of writing. I recently finished Tjideng Reunion and it gave me a very detailed insight into what my grandparents and father endured. I didn’t realize the number of internees until this book. Very well researched and written. It’s a must on the bookshelf for anyone who has family connections to this dark chapter of history.